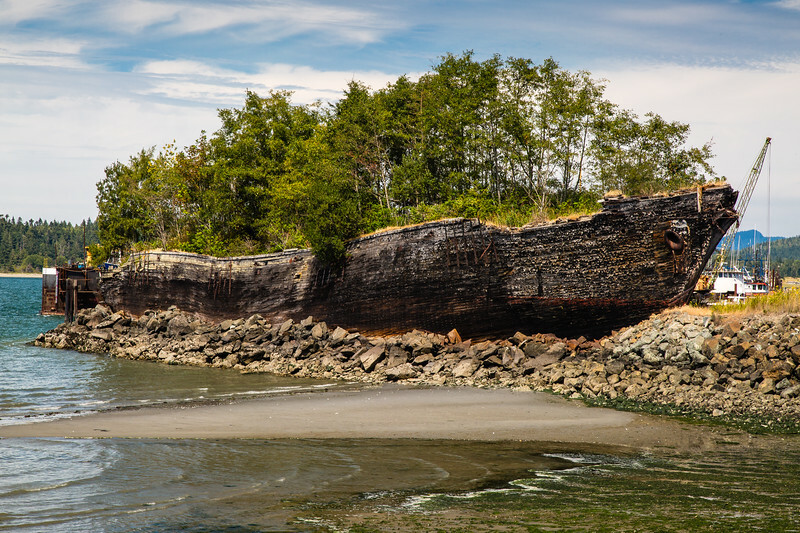 Anacortes, WA - Overgrown Ship Hulk - A very old merchant ship that was scuttled so long ago (1966) that a small forest has taken up residence. The La Merced was a four masted schooner, commissioned in 1917. In the end it was turned into a breakwater by filling it with dredge; the woodlands that have grown are a natural byproduct. Excellent shot Rick, super detail and love the composition you have chosen. Awesome still life! Excellent details, scene, light, and motion in the water!